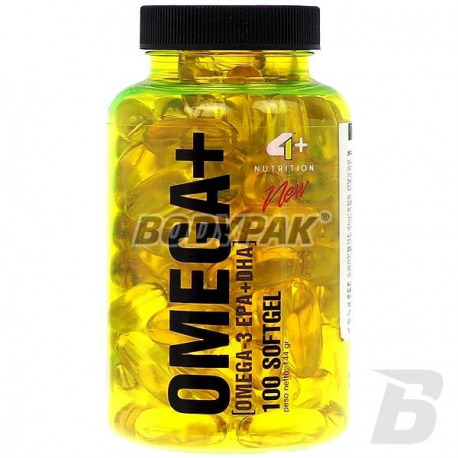 Health & BeautyFOURPLUS 4+ Omega+ - 100 kaps. FOURPLUS 4+ Omega+ - 100 kaps. High-quality omega-3 in every serving! The product targeted for demanding athletes who want to support your body and strengthen your health! FOURPLUS 4+ Omega+ - 200 kaps. 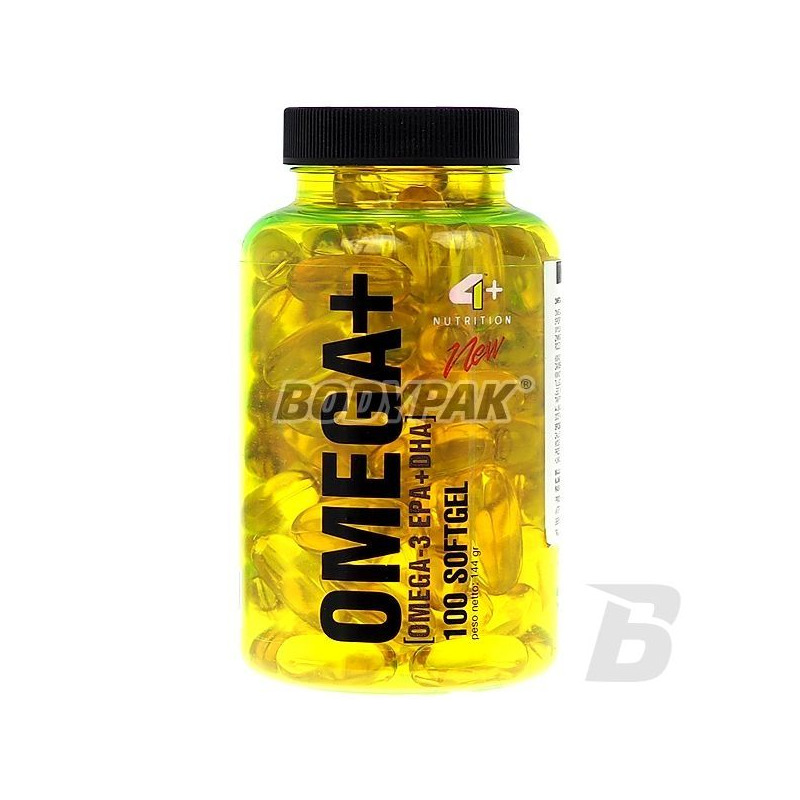 Seeking the highest quality omega-3 pay attention to this amazing product, which is characterized by a high concentration of active substances and the incredible purity! Their impact on human health is well known, the most frequently discussed are: regulation of cardiovascular work and support of heart, adjusting the proper level of cholesterol in the blood. 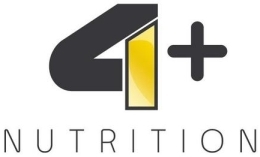 4+ Omega + is a dietary supplement designed for athletes who care about their health. It contains high-grade concentrate from cold-water fish oil, rich in fatty acids omega -3. The fatty acids that occur naturally may contain from 4 to 26 carbon atoms. Among them we distinguish the fatty acids: saturated, monounsaturated and polyunsaturated. Omega-3 belongs to the group of polyunsaturated fatty acids. While the de novo synthesis of saturated fatty acids and certain unsaturated possible in the body is omega-3 must necessarily be supplied from the diet. This is because we lack the appropriate desaturase enzymes (enzymes that are able to synthesize fatty acids linoleic and α-linolenic acid), hence they are called essential fatty acids (EFAs). It is difficult to provide adequate number of them from the diet, especially if we active lifestyle. The two most important and most active acids present in the supplement Omega + is eikozapenaenowy acid (EPA) and docosahexaenoic acid (DHA). Many studies have shown that taking even small doses of omega-3 has a beneficial effect on the work of the cardiovascular system. In addition, the dietary intake lowers triglycerides and elevated levels of high-density lipoprotein, or "good" cholesterol (HDL) and decrease in blood clotting. Thanks to increased permeability and fluidity of cell membranes. 1 serving a day around a meal. Ingredients: high-grade concentrate with cold water fish oil (a source of omega-3 fatty acids), gelatin, glycerol. Modern supplement supplementing the diet with pure gamma-aminobutyric acid (GABA), which supports the proper functioning of the nervous system. It will help you fall asleep and regeneration. A deep and healthy sleep is essential! Swanson Aller-7 Seasonal Wellness Formula - 60 kaps. Salvum Protego Omega-3 1000 - 60 kaps. High-quality omega-3 oil from Canadian marine fish. They have a positive impact on the functioning of the heart and circulatory system, immune system and many other aspects of daily life! High quality fruit of Saw palmetto preparation in the form of capsules! Very interesting proposition for men, because it exhibits inhibitory effect on the process of alopecia, raises the level of natural testosterone and increases the libido and sexual ability. Put on natural solutions! NOW Foods Coenzyme Q10 200mg - 60 kaps. Sensational antioxidant, which is extremely important for energy processes occurring in the body. Also supports weight loss. Highest quality coenzyme Q10 in capsule form! PurellaFood Enjoy Pure Life Chlorella 200mg - 250 tabl.